"You think England is hard? Compared to Nigeria? My dear, you haven’t seen anything yet!" Immigrant cultural identity and inter-generational conflict may be well -worn themes, but this superb play by Goldsmith’s College writer-in-residence Ade Solanke about a British Nigerian family succeeds in engaging from start to finish. 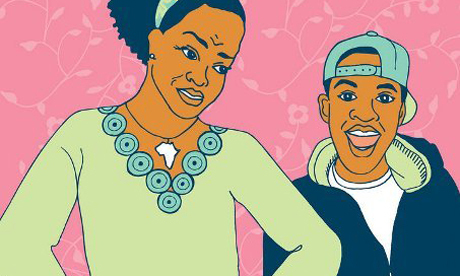 At times laugh out loud funny, at times heartbreaking, the drama centres around a choice: should British-born single parent Toyin (Anna-Maria Nabirye) accept the place offered to her wannabe gangster teenage son at an elite, disciplinarian Lagos boarding school, as her family and friends beg her to do? If she leaves him in Nigeria, he may come to resent her decision, as her elder sister is still embittered by their mother’s choice to leave her behind 40 years ago. If she takes him back to London, he may be lost forever in gangland. Her dilemma exposes the long-held grievances and angst of her family members, and this play is as much about the universal themes of conflict between parents and children as it is about cultural identity. It is also about raising children and the decisions parents must make. “Nobody has a crystal ball here!” Says Toyin’s friend Bev. The show’s one weakness is that some of the references to current geopolitical developments feel slightly clumsy and forced in a family drama – who really speaks in lists of facts? Otherwise, this is a strong script, and brilliant performances by the entire cast (with some spot-on comic timing) make this is essentially a very moving and funny play. Excellent.